Hahn-Groeber Funeral Homes offer a wide range of funeral service options tailored to fit the individual needs and desires of the families we serve. As your funeral service professional, we present you with all available options in regards to type of service and disposition and then work to see that a family’s wishes are carried out to completion. By removing the burden of arranging the details of service and disposition as well as meeting all legal requirements involved, we allow our families to address the most important issues that arise at the time of death; caring for each other, dealing with grief and the implications of a lost loved one, and providing a meaningful tribute and farewell for the deceased. 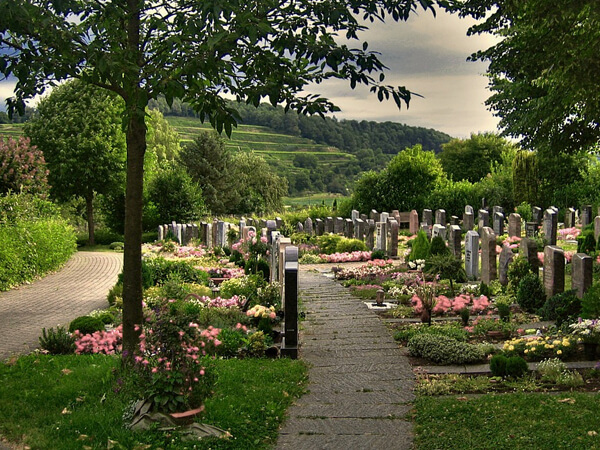 When addressing funeral options, some primary points to consider: Type of disposition: earth burial, entombment, or cremation. If earth burial or entombment, which cemetery or mausoleum? If cremation is desired, what will happen with the cremains following the cremation process; burial, inurnment in a mausoleum niche, scattering, or retention by the family? Traditional type service with visitation and funeral service with deceased present at funeral home or church, memorial funeral service without deceased present, or direct cremation or immediate burial with no formal service or viewing. Specific desires regarding the actual funeral service including, officiant, music, floral tributes, place and time of service, military honors, establishment of a memorial fund, clothing to be worn by the deceased, pictures and mementos to be present for the service, and information to be included in published obituary notices. Type of casket, outer burial container, or urn to be utilized. Many options are available regarding these items in a wide range of construction materials, colors, fabrics and costs.